Are you puzzled to come to a decision if you should use a hot water electric pressure washer machine or a cold water electric pressure washer? Well. You are lucky to be here. Through the whole article, we are trying to make you take your correct decision easily. No question, you might think that it is necessarily hard to find out a pressure washer that can result in somewhat more than beyond average. But our market research team has, in very recent time, investigated a lot about hot water pressure washer. It is not as hard as you think. These hot water pressure washers are ideal for heavy industrial cleaning projects. They might be a game changer in your workplace. So, why late? It is high time you invested in a hot water electric pressure washer machine. This hot water feature of the pressure washer machines provides you the most effective, cost beneficial and eco-friendly cleaning services. Moreover, these hot water units ensure the best cleaning results than a cold water unit does. No tension. This is guaranteed. They ultimately slash your time to take when you are running a cleaning job with a hot water facility. You would be surprised at their capability of producing the best cleaning results. 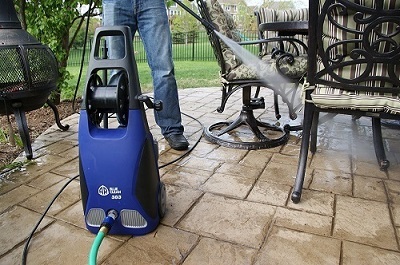 Hot water pressure washers are very efficient at high-pressure cleaning. Just they require you use hot water mixed with sufficient cleaning substances. You may notice that, when we wash our dishes in the sink, we do not clean them with cold water. Why? Cold water does not work efficiently. It cannot fight against the stubborn oil and grease. Cold water can only move the oil from one spot to another. It cannot remove the oil forever. Hot water removes it. So why shouldn’t you employ a hot water washer to clean your greasy machinery? Hot water pressure washers are particularly effective for cleaning engine, automobile spare parts. But their application areas are not limited to just this type of cleaning. They work on everything from spare parts to cleaning old paint from walls. A hot water electric pressure washer is successful and effective in working to remove grease, grime, oily resin because of using three major components. Heat: The rising temperature of the water may be nearly 12 degrees Celsius to up to 155 degrees Celsius. This high temperature causes a speedy molecular function to lessen the surface tension of the water. This helps the cleaning components become more active and pierce grime at a molecular stage. The generating temperature offers much cleaner wash and a quick dry. Agitation: It refers to the impact which results from water pressure and amount of water that heats the grounds or objects. Detergent: The detergent breaks down the chemical chains between the debris and the surface. With the surfactants and detergent emulsifies the oil and grease. So, they cannot combine as they cannot repel each other. This emulsion results in wash out dirt, grease, and oil altogether. If you can make sure a balanced use of these three key components, you would find that it works much efficiently and easily than cold water electric pressure washer does. How Does Hot Water Produce Better Results? A hot water pressure washer approaches faster and hygienic to clean. 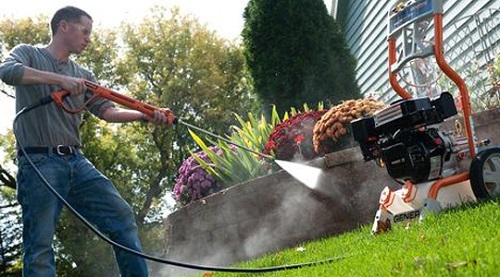 When a cold water pressure washer traditional cleaning provides the expected cleaning with the combination of the detergent, a hot water unit finishes the work in approximately half of the time. Those days are past now when it would take hours of time to complete a cleaning project. These days are of pressure cleaning success. As the high temperature speeds up the chemical processes, it raises in reaction accelerate when the water gets hot. After very soon the hot water is poured, the residue starts to break down. Thus, it removes residue in a quick and easy way to ensure a better cleaning. The hot water does not require you much cleaning agent to apply. It saves money on detergent. Definitely a heated ground dries quicker. So, it removes the moisture in and around the objects and decreases the possibility to grow the germ and bacteria due to moisture. If you are planning to clean your instrument before you use it, it is a good idea to make hot pressure water clean as it is very beneficial and efficient. Those you think impossible to clean, are now likely to be possible because of hot water. Moreover, the highest temperature produces steam. And this water steam removes the most stubborn dirt without any detergent. Furthermore, it kills up to 99 percent bacteria and germ. The hot water electric pressure washer saves you almost 35% of your cleaning time. This is lovely! This gives you more time for relaxation. With you relax; you would also be happy to know that you have cleaned your targeted areas more efficiently. 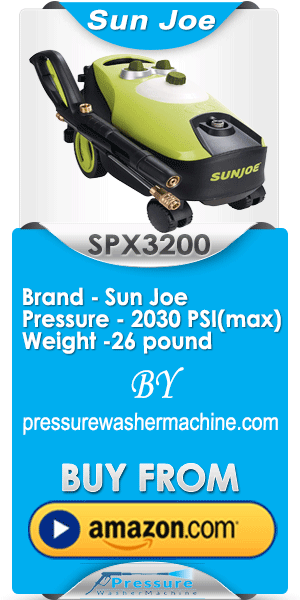 If you notice, you may find the initial price range of a hot water electric pressure washer from$2000 to $9000. This is not economical at all. This figure could get you worried again. But this is not the fact all the time. At the initial stage, the hot water pressure washer seems to be expensive as you need to invest a big amount of money. But think for the long term. This initial investment will save you cleaning agents for future years that actually sum a lot of money. That is why it is called a cost-beneficial and eco-friendly unit. After all, a frequent use of a hot water electric pressure washer makes up for the expense of it. You would obviously be amazed at its results. It is strongly recommended that you exercise awareness to use a hot water pressure washer. The chemical contained in the cleaning components and the rising temperatures need to be operated carefully. Otherwise, danger might occur during operation. Always follow the user manual that comes with the unit. The manufacturers detail the operation procedures to ensure a safe and proper operation.